effectlauncher helps you structure your projects and provides overview of your projects and activities. 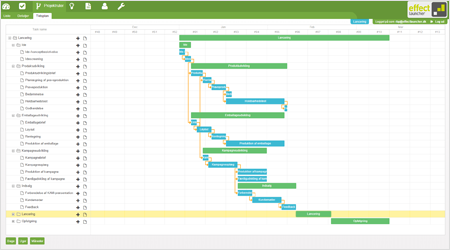 It is easy to build various project routes with pre-defined workflows, timing and allocation of roles & responsibilities. Different routes can be build for different types of projects. This enables quick and convenient initiation of new projects. 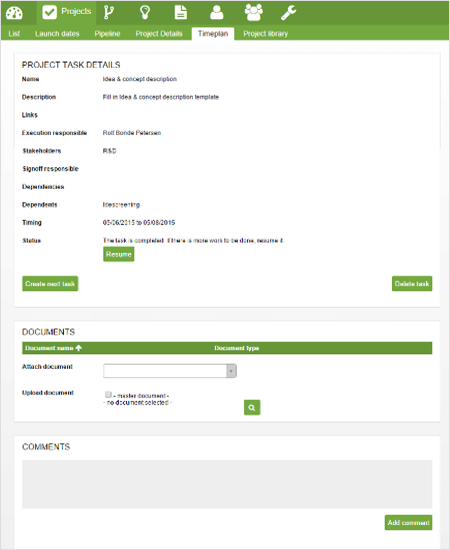 The project plan is automatically calculated and project roles automatically communicated. Each task description includes what has to be done, when, who is responsible, who will be informed and who must approve the task. It is possible to link documents and e-mails to the individual tasks for smooth editing giving the project team direct access to the latest versions of the documents at all time.